Lot Size: 13541 sq. ft. 103ft x 137ft "Rectangular"
Considering a year round home at the Lake? Look no further than #4 Walleye Way. Rather then driving to the lake, why not live at the lake? Here is an opportunity waiting for you! Tucked into the tranquil and peaceful setting of the Qu'Appelle Valley, this home will give you exciting days & relaxing nights. A 3 bdrm bungalow with 1568 sqft featuring a master suite with a 5 pc bath (jacuzzi tub, standup shower, double sinks); 4 pc main floor bath; main floor laundry; custom open concept kitchen elegantly designed with custom designed kitchen with a spacious centre island providing an open concept theme to the dining area and livingroom. The dining and living room area provides comfort and is the perfect arrangement for entertaining or enjoying your family. The basement area is completely separate from the main floor & has been set up to maintain privacy from the main floor with access from the garage enabling home owner to rent out the lower level to offset your mortgage. Unfinished basement features 9 ft ICF block with in-floor heat. This home is priced at a rock bottom price and it can come complete with appliances, AC, water softener and RO system should the buyer request to purchase. The constant water pressure system is to be appreciated. NG furnace. Especially appealing is the 34x22 double car garage with in-floor heat. Property is on 2 lots - perfect for adequate yard space space, RV parking, quadding, snowmobiling and so much more! This home is move in ready and is waiting for you! You won't be disappointed! Make the call. 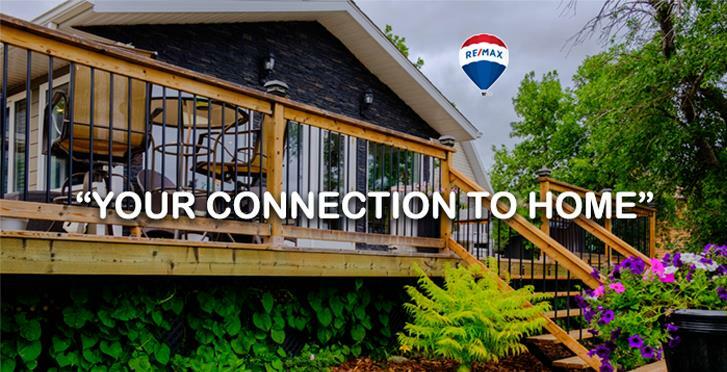 Call "Your Connection to Home" to book your personal viewing today! Seller will consider rent to own on credit approval!